With a constant stream of articles pointing to the alarming statistics of sedentary and other unhealthy lifestyle choices in our society, a consistent focus remains upon students, and for good reason. However, during the hectic school year, it is easy to find ourselves preaching the good word about increasing physical activity levels when we have difficulty living up to our own advice. During a busy week of teaching and taking care of personal responsibilities, it can be difficult to find the time we need for ourselves to be physically active daily. Therefore, this article has been written for school teachers and other school staff members who may wish to increase their levels of physical activity but are having difficulty finding the time. Throughout the first few years of my teaching career, one of my ultimate goals was to help create an active, healthy school community, which included the students, staff, families and community members. In doing so, one of the most successful initiatives to come to fruition was our school’s “Staff AM Walking Group” which was open to every staff member on Monday, Wednesday and Friday mornings. Any staff members who were interested in walking in the morning would meet near the school’s front doors one hour before the morning bell. 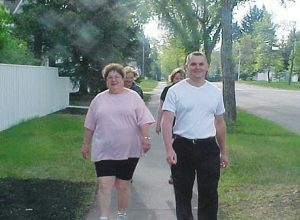 Our walking group would go for a thirty-minute walk together through the neighbourhood. Like any new school initiative, I understood that it may take a little time to gain buy-in from others. However, I believed that walking with even just one staff member prior to the morning bell was worth it. In fact, the first year our walking group was organized, we began with three staff members. After the first few months, the walking group grew to 10 to 15 staff members in our small elementary school. Although it took a little time for some individuals to appreciate the benefits of walking prior to the morning bell, this physical activity became an important part of our school week. As the months flew by in that first year, our Staff AM Walking Group became part of the school culture and it didn’t take long for the group of 10 to 15 to grow even larger! The neighbourhood streets became a walking course to better health and a physically active school staff! The organization of the walking group took little work on my part. Two primary commitments to making the walking group a success were (1) altering my classroom planning times so that I was able to walk for thirty minutes prior to the morning bell and (2) helping colleagues develop a deeper level of understanding of the positive effects of daily physical activity. To meet my second goal, I collected a variety of materials pertaining to active, healthy lifestyles and made them available to my colleagues—information on the benefits of physical activity, healthy eating, proper stretches, etc. Below is a list of some excellent websites that provide information for staff walking groups, some of which I have used in the past. You should have no difficulty finding many effective websites for health-promoting organizations closer to your home locations within Canada. As I reflect on the Staff AM Walking Group that proved to be an excellent staff-wide endeavour at my school, I realize that many benefits resulted. Morning physical activity, morning meetings and staff team building are a few of the primary benefits that resulted from the thirty minute morning walks. Although there is a wealth of literature to support physical activity as an essential part of healthy living, morning physical activity, in particular, offers many benefits. For example, not to get too scientific about the regulation of three neurotransmitters in the body (e.g., serotonin), morning physical activity helps to shake off morning drowsiness, reduce stress levels, and it plays an important role in mood enhancement, which can all be very beneficial as the morning bell approaches! As you enter the classroom to finalize any last minute details after a brisk walk with colleagues, you will feel a sense of accomplishment for the rest of the day knowing you have already fit a healthy dose of physical activity into your busy schedule. And, although stressful situations can occur throughout the teaching day, you helped prepare your body (e.g., raising levels of brain serotonin) to deal with potential stress. Now that’s the way to start the teaching day! Although the walking group may be quite large, which is the ultimate goal, there will be days when you choose to walk in partners or in small groups with a particular interest or school issue to discuss. The group composition will depend on agenda items that can be discussed during the morning walks. For example, I recall walking with school team co-coaches and discussing transportation, apparel purchasing, equipment needs, etc. Whatever the discussion, the staff morning walk proved to be a wonderful time to take care of school-related items while enjoying fresh air and physical activity. One of the greatest benefits that resulted from our morning walking group was staff camaraderie. During our walks, the discussion was rich, the walkers were all welcoming and the group support was exceedingly high. A true team atmosphere developed from this small idea of organizing a walking group three days a week. Staff members discussed school-related items such as working together on class projects, helping each other develop unit plans, sharing best practices and sharing summer goals and winter wishes. Our morning walking group played a large role in bringing the staff together. 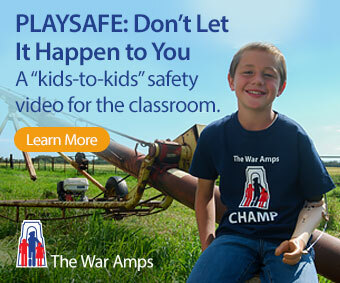 As with any school initiative, issues can arise that act as roadblocks. For the Staff AM Walking Group, neighbourhood and weather issues are a couple of potential roadblocks. Your school may be located in a neighbourhood where walking is discouraged. Therefore, what about walking through the hallways, around the gymnasium’s outer lines or around the school field? Although your walking group may not be able to walk through the neighbourhood, there are alternative locations that can still help you and your colleagues obtain the benefits from morning physical activity. Strive to be innovative if there are neighbourhood issues! Depending on the time of year, weather may present a roadblock to walking outside. As with the neighbourhood issues, when the weather is poor, your staff can still walk together. Designing an alternate course through the school halls or in the gymnasium can be an excellent substitute to walking outside. Again, let the innovative ideas begin if your walking group is forced to use a Plan B! Although walking is an enjoyable way to start the day, especially with colleagues, there are other physical activities that may be more interesting to your staff. Physical activities such as a fitness workout, boot camp and/or stair climbing may attract staff members at a greater rate. If so, go with it! Again, be innovative when striving to implement staff-wide physical activities. For example, organize a morning physical activity of the day to create some variety each week. Maybe your school has a fitness room which houses fitness equipment that can allow staff members to engage in morning workouts together. The benefit of having a fitness area is that staff members can use different pieces of equipment at the same time (i.e., a station-like approach). Fitness workouts offer the benefit of proximity for staff members for ongoing support, even though individual activities may differ. After a restful weekend, a morning fitness workout with staff members sounds perfect for a Monday morning! Maybe there is a staff member in your school who has attended a boot camp and can provide some leadership. If so, boot camp-type activities in the gymnasium or outside on the field may prove to be an attractive way to becoming physically active prior to the morning bell. (Important Note: You may sweat a bit during this time! However, think about how terrific you will feel after completing a staff-wide boot camp thirty minutes prior to the morning bell!) A boot camp sounds like an outstanding way to start a Friday morning! Bring on the school day! Your Innovative Ideas Go Here …! Teaching school is a busy job; that goes without saying! With your personal daily responsibilities added on, it often becomes difficult to find time for physical activity. Therefore, it is hoped that this article provided a few ideas to help form staff-wide initiatives during the week. If so, always remember to enjoy organizing staff-wide physical activities; enjoy educating colleagues about active, healthy lifestyles; enjoy observing the benefits from morning physical activities; and enjoy helping to build lasting memories with your colleagues! The best piece of advice I can offer as you begin to organize staff-wide physical activities is “begin with one day a week.” Even one day a week of staff-wide physical activity will produce life-long benefits! Brent D. Bradford has taught at both the elementary and junior high school levels. After a decade of being a school teacher, he returned to the University of Alberta to pursue graduate work and to teach higher education. He is currently working towards a Doctor of Philosophy Degree. While doing so, Brent teaches curriculum methods courses as a Teacher Educator. In 2011, he was recognized as an award-winning Teacher Educator at the University of Alberta.